I don’t know about you, but sometimes it can be challenging to come up with fresh, kid-friendly Unplugged Screen-Free Fun Activities that don’t involve some sort of technical device. Such as games consoles and tablets. Especially if it feels like your child’s life pretty much revolves around them. Which, I will admit, I do feel my own 5 boys spend way too much time on electronics. They always seem to get their hands on a controller, mobile phone or tablet. I often find even with suggesting that my boys go outside to play, they, 9 times out of 10, still manage to find a way to involve smartphones and tablets into my request for them to play outdoors. Especially with Apps and games like Pokemon Go. Or their obsession to become the next up and coming YouTuber. Which, yes, they are being ambitious, but I feel they need other skills other than knowing how to use a tablet. So, I’ve sat down and thought whether you’re looking to find inspiration for Unplugged Screen-Free Fun Activities or are looking to encourage more Unplugged Screen-Free Fun Activities for family time, these 11 simple ideas will actually keep kids entertained, engaged, and away from their gadgets! Get doodling and mark making…Paint, crayons, felt tips. Anything that makes a mark. Get it out. Find a nice big space a roll of paper and let the kids go wild. Why not try taping the paper to the under side of a table or on to a wall. Mix it up a little so the kids have to stretch and move around as they draw! 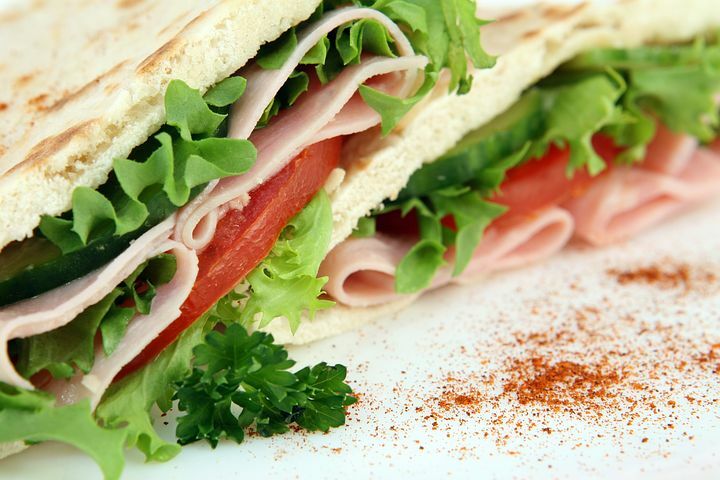 Have a picnic… Let the kids to make their own sandwiches and to make their own healthy food choices. Supervision maybe needed with the use of knives when buttering the bread. The kids will love the fact they have made good choices and being able to have a small amount of responsibility. 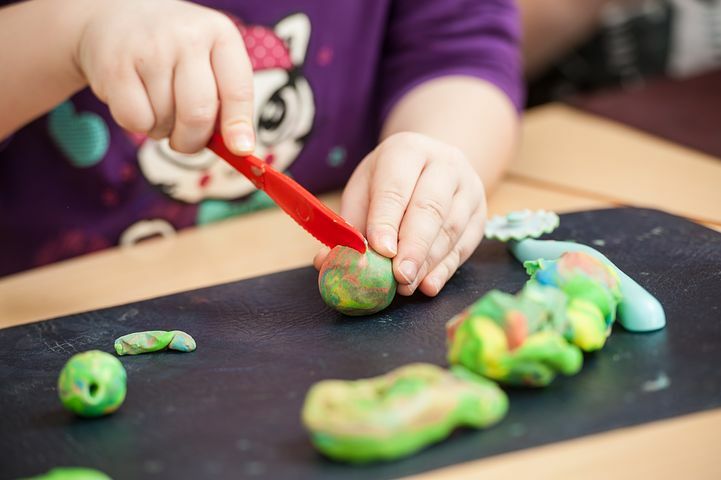 Make your own play dough…Put 1/2 cup boiled water, 10g cream of Tartar, 1 tbsp coconut oil, 1/4 cup of salt and 1 cup of flour into a bowl and mix it all together with either a spoon or your hands. You will be left with an amazing ‘au natural’ play dough. Add food colouring and/or aromatherapy oils to the play dough for an extra sensory experience. Use everyday kitchen utensils to help explore the play dough. Such as forks, cookie cutters, garlic press etc. Lego is a life saver! Kids can get so much out of playing with it. One favourite game of ours is to set a timer for a set time and see who can build the tallest tower without it breaking. Check out my Lego board below for more ideas. Dust off the board games…get out a child friendly board game such as snakes and ladders or Ludo. If you don’t own any board games try ‘pen and paper’ based games such as noughts and crosses, dots and boxes or battleships. Make a tower with dried spaghetti and mini marshmallows. Get creative with this and encourage your little engineer. STEM at its best. Visit your local library and borrow some books…Join your libraries reading scheme, if they don’t have one, make up your own. Get the kids in the kitchen…Kids love to cook and bake! It doesn’t matter if you use a boxed cake mix or make from scratch. But let the kids do the majority of the work. Check out my Cooking With Kids Pinterest board for useful recipes suitable for kids. Get Outside…Come rain or shine get outside. Go for a walk, visit a park, make a ‘find it’ checklist. I find that kids thrive when outside. Put on some music and have a good old boogy… See who has the best dance moves or have a talent show! Thanks for joining us at #tweensteensbeyond Claire, it’s lovely to have you. I am in awe of your brood of boys. Those card games are going to come into their own over the summer for sure. I am a big fan of ‘away from screen time’ and you have shared some lovely ideas here for the whole family. Looks like we are set for a good summer too, so even more reason to look up and out.